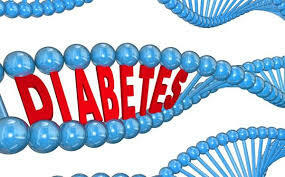 New study reveals epigenetic contribution to diabetes. A new study, published in the journal Cell Metabolism, has revealed just how little is known about diabetes and the causes of the disease. The study published by Johns Hopkins researchers has revealed that genes are influenced by the environment to trigger diabetes. The researchers used obesity as a starting point to investigate the epigenetic influence of diabetes and found clear epigenetic difference between obese and normal mice. Some sites that bore chemical tags called methyl groups in the lean mice were missing them in the obese mice, and vice versa. The methyl groups prevent genes from making proteins. ← Avocados lower bad cholesterol, improve cardiovascular health.